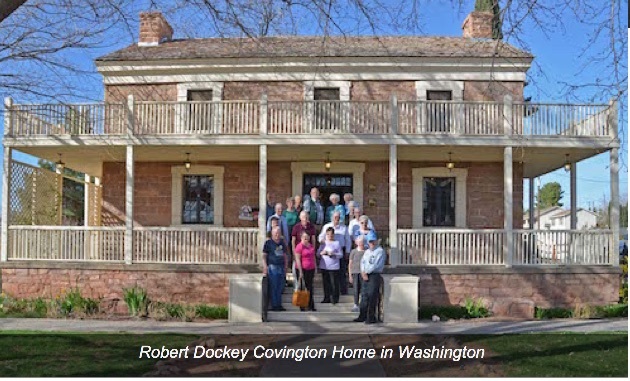 About 30 members of the Cotton Mission chapter enjoyed a fabulous weekday trek March 9 that included a visit first to the Santa Clara History Museum followed by a tour of the historic Covington home in Washington. Our own chapter member Charlie Clayton met us at the Samuel Knight Museum located in the basement of the Santa Clara Town Hall, and gave us a guided tour of the facility. 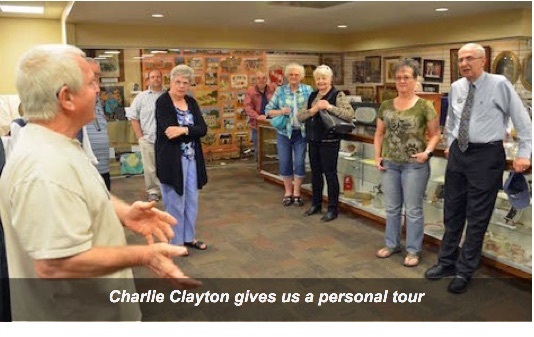 Charlie has donated thousands of dollars to seed the museum project and acts as a docent there. He is looking for a few volunteers who can help as docents. We then drove across town to the Robert D. Covington Home in Washington, Utah. A wonderful guide, Carmen Snow, dressed in pioneer attire took us on an in-depth tour of the home. This home was built for the first LDS bishop of Washington, Robert Dockey Covington. It is in the process of being refurbished.